Now, the Belgians are generally pro-royal. I’ve been told that the Belgian royal family are the only truly Belgian national icon. That without them Belgium would quickly dissolve into its constituent parts, Flanders and Wallonia. 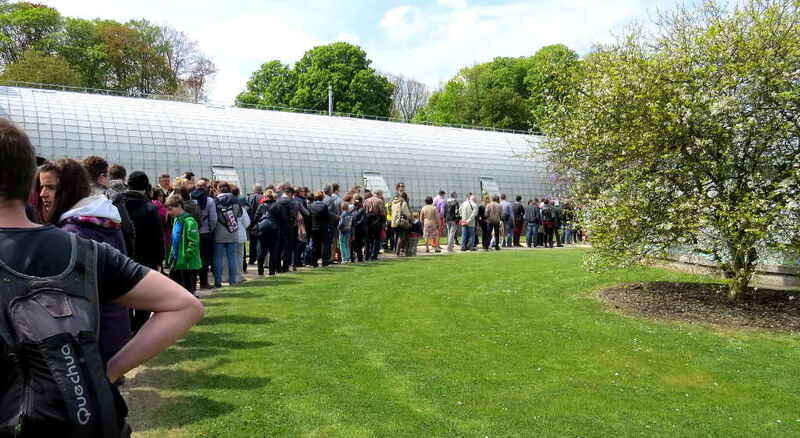 Consequently visiting the Royal Greenhouses seems to be a way for Belgians to affirm a commitment to their head of state and national unity. 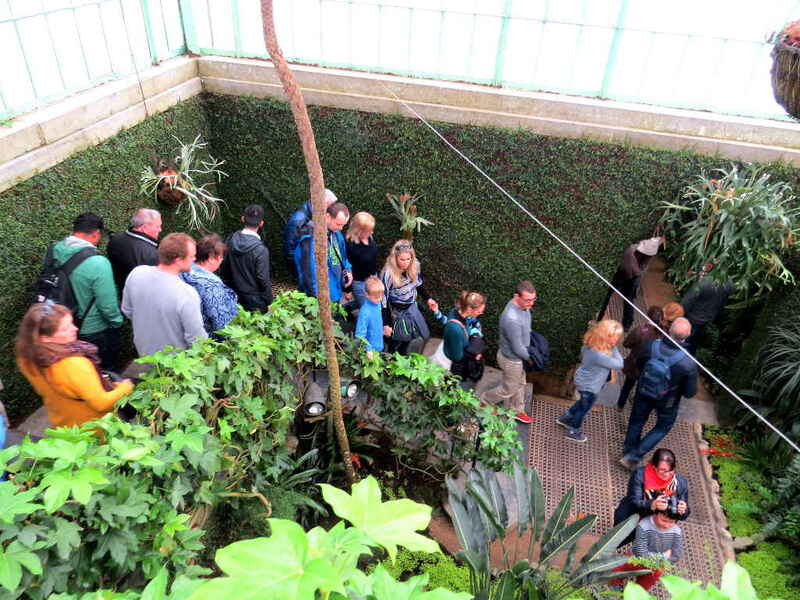 It’s also not overstating the case to say that there is a considerable social pressure on foreigners living in Brussels to pay a visit too. It was crowded with local tourists and foreign. I heard Italian and Spanish, English and Swedish (not just from us), Polish, Japanese and Chinese. Also Dutch, French and German. It felt like there were thousands of people, though I think that was partly an impression caused by a restricted route and a large number of narrow doors. We moved in line and very slowly. There was also a great deal of standing around and not moving. 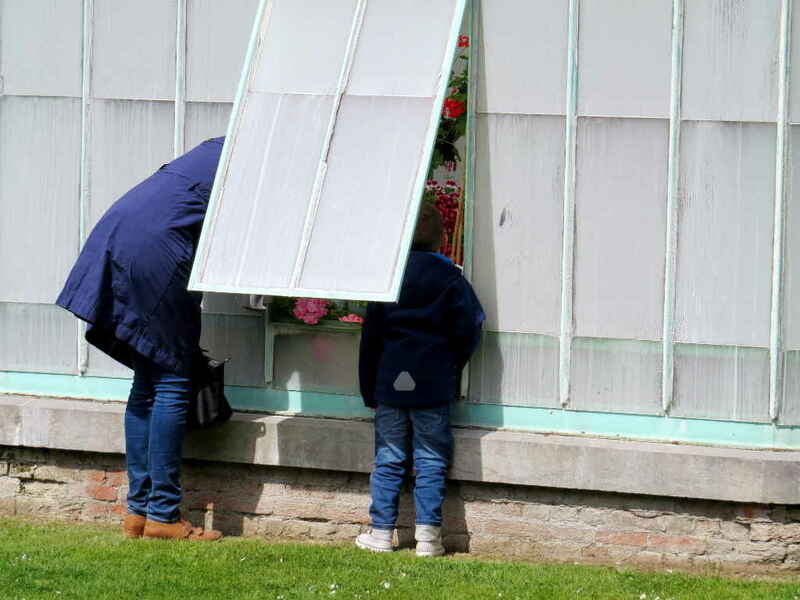 Perhaps because the greenhouses are only open for this very short window every year, the people responsible – and I’m going to blame the Belgian royals for this – haven’t wanted to waste their money on benches. I’m sure there were a few more, but I can only remember seeing (and actually sitting on) two. 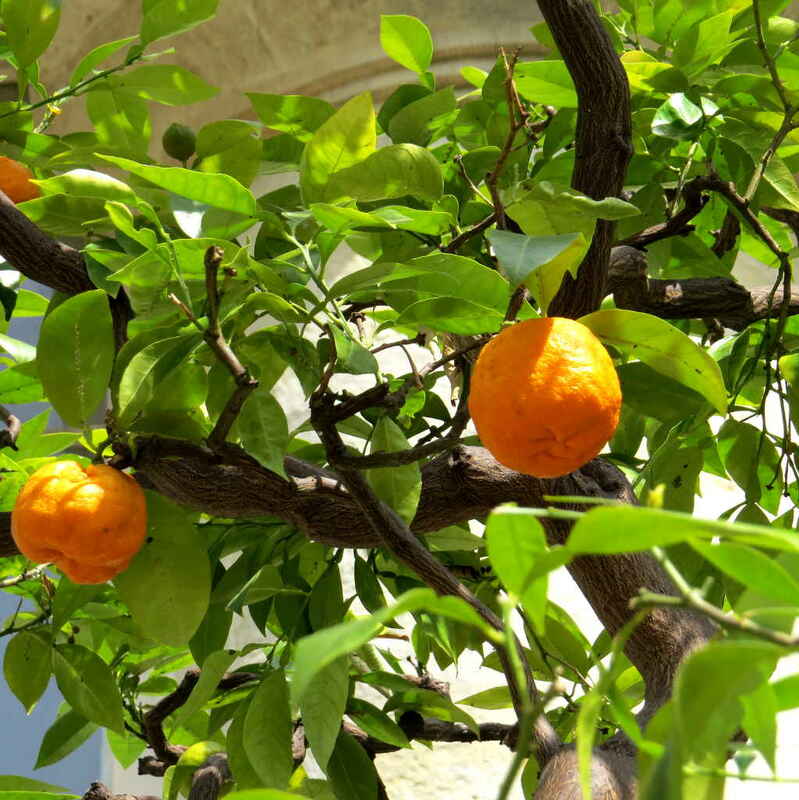 Also if there was any place of refreshment anywhere inside the gardens, it was well-concealed. There were a couple of vans parked in the road outside the Royal Palace doing a brisk trade in hot-dogs, waffles, ice cream and bottled water, but in the grounds nada. 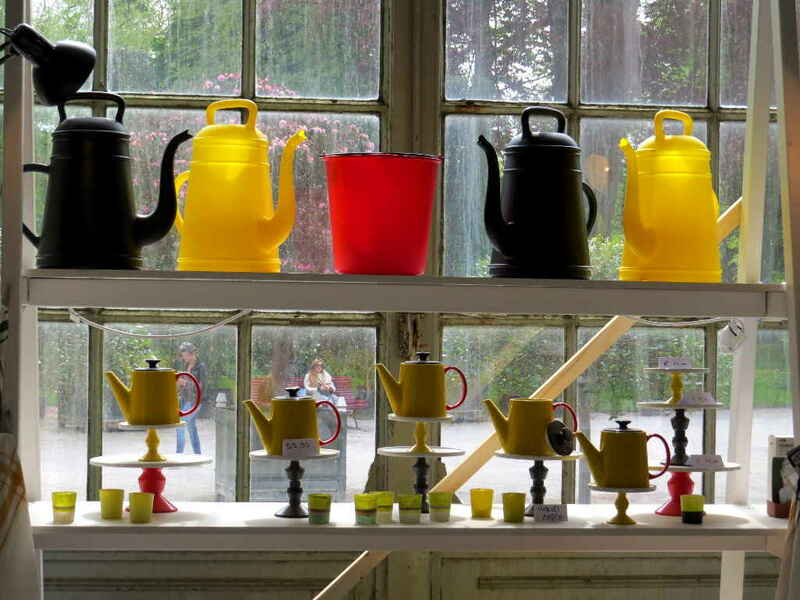 The Royal Shop sold watering-cans, but no water. There was however a Red Cross post, so I suppose people who collapsed would be attended to. Perhaps helped off the palace grounds to one of the vending vans. Well, it wasn’t the plants. The excuse for only opening for two weeks in the spring is “this is when the flowers are in bloom”. That doesn’t wash. As anyone will know who’s visited open-year-round greenhouses in botanical gardens, there’s usually something blooming most months of the year. There’s always something of interest to see, even if it hasn’t got flowers. 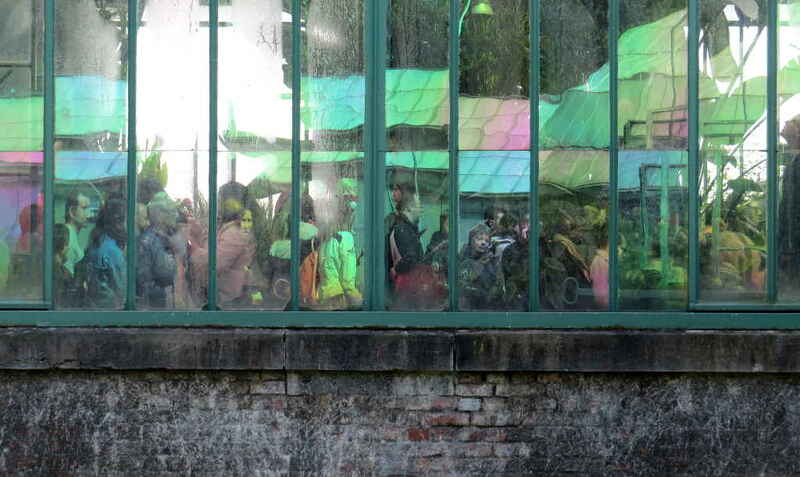 I guess these greenhouses were originally set up as botanical greenhouses. In fact a little leaflet we bought suggested exactly this. 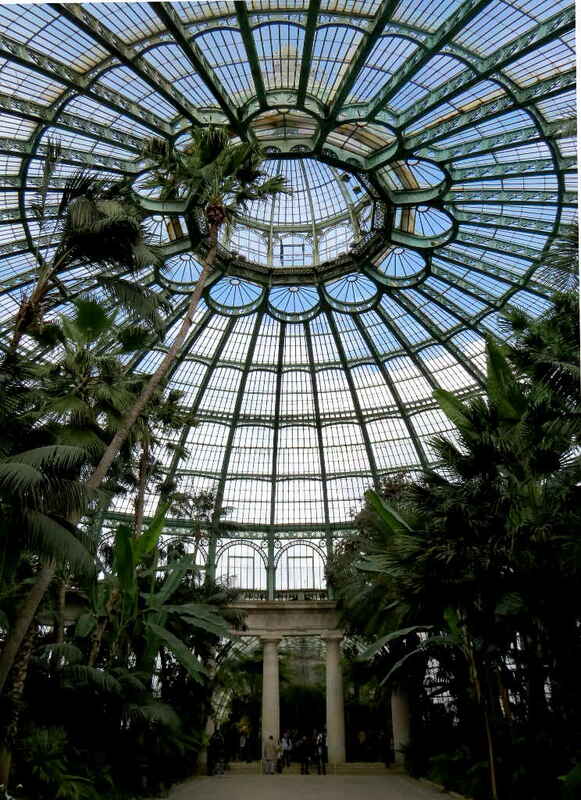 At least one of the greenhouses was built specifically to hold plants brought from the Belgian Congo. It was unsuccessful and the plants died. Nowadays the collection seems to consist very largely of azaleas and geraniums. There are a number of palm trees, ferns and a few pitcher plants too. Okay, I’m exaggerating, but really there were a hell of a lot of azaleas and geraniums. And they were pretty. Impressive, even, by virtue of being so many. But seriously, you can see something similar in any well-stocked garden centre. And do azaleas really need to be raised in greenhouses? There’s a whole little rocky azalea valley – absolutely not under glass – that is part of Slottskogen Park back home in Gothenburg. It’s a riot of colour when the azalea bushes bloom, and Gothenburg is several hundred kilometres closer to the Arctic Circle than Brussels. I’m going to make a wild guess here. Leopold was about twenty years old in 1851. That was when the great cast-iron and plate-glass Crystal Palace was opened for the Great Exhibition. My guess is that Leopold saw it, was impressed by it, thought “I wanna get me one of those” (or the Francophone equivalent). And when he had the money and the opportunity decided he would do better, would surpass it. If so, I think he achieved his goal. Of course it’s not all greenhouses. 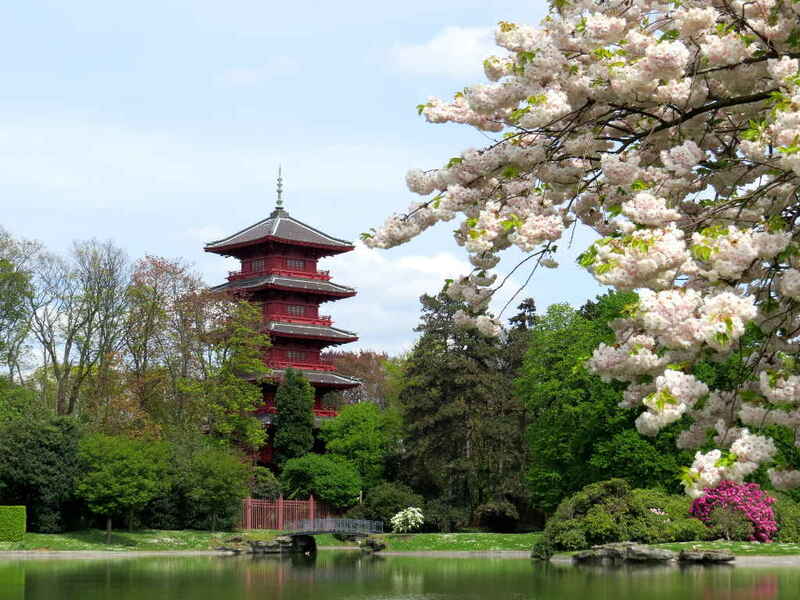 There are orangeries too, and ornamental ponds and cherry trees and a pagoda, and distant, attractive views of Brussels across the river (which is actually the great Brussels–Charleroi Canal). 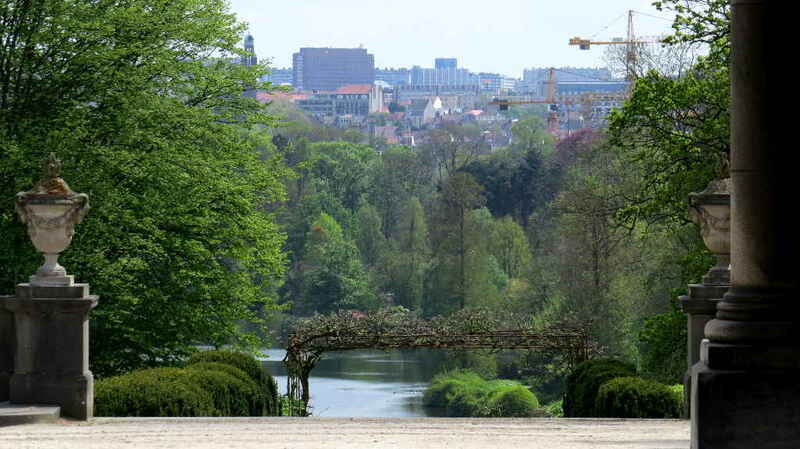 According to Wikipedia – which appears to be citing an article in the Daily Telegraph – the former King of the Belgians, Albert II, who abdicated in 2013, lives with his wife in a building in the grounds, while current King Philippe and his Queen live in the main Laeken Palace. 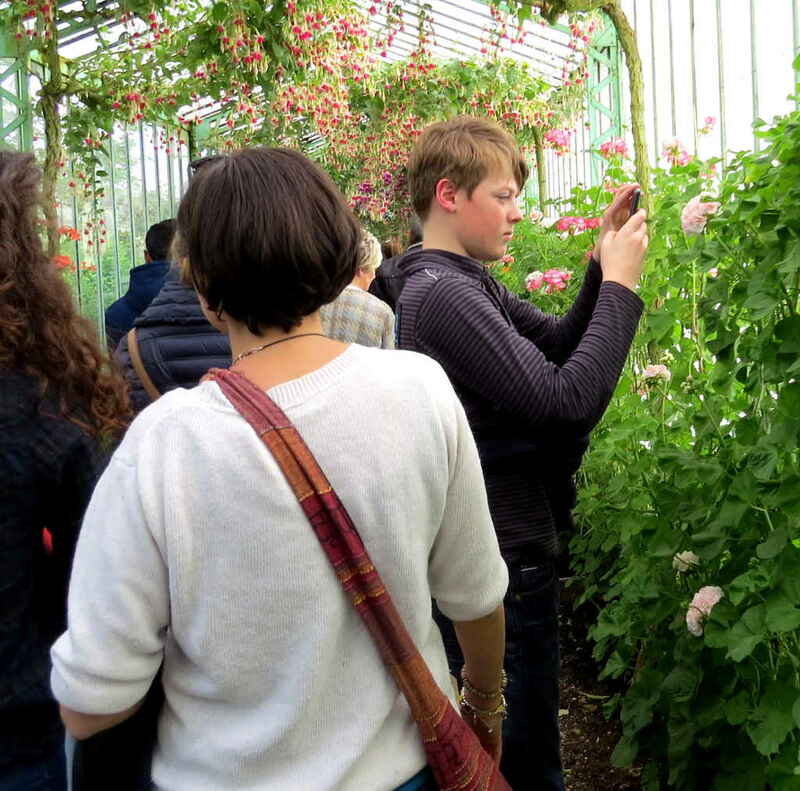 I wonder what they do during these two weeks when the hoi polloi get to traipse around their greenhouses. Probably they take a vacation in a far off place. But I’d like to imagine that they are really still in the palace, peeking out at the crowds and longing for a time when the great gates to the palace grounds shut and they can once again walk in peace through their greenhouse empire. A version of this article appeared in Swedish in Bladet, the magazine for members of the Swedish Club in Brussels. I originally published this article on the separate Stops and Stories website. I revised it for spelling and punctuation, carried out some SEO fine-tuning, and added a new featured image before transferring it here on 18 May 2017.